Is Tucson Massacre More About Mental Health Than Politics? : It's All Politics The focus on Loughner's reading as a guide to his motive seems misplaced given his strange behavior. It might be better to focus on his mental illness and what if anything society can do about protecting itself. The Pima County Sheriff's Department released this photo of Jared Loughner, who's charged with killing six people and injuring 14 others, including U.S. Rep. Gabrielle Giffords (D-AZ). There's been much talk over the weekend about the role political intolerance may have played in the mass shootings in Tucson, AZ that left six dead, among them a federal judge, and 14 wounded, including Rep. Gabrielle Giffords (D-AZ) who was shot through the head. 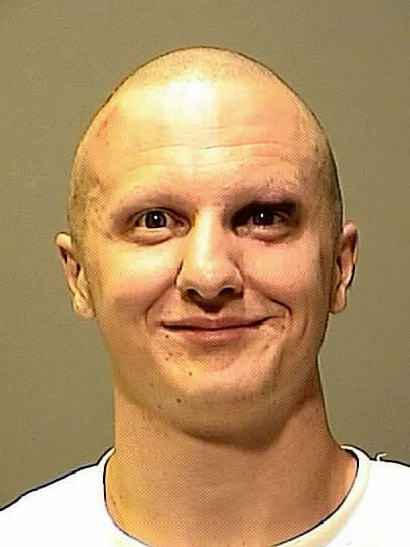 Some have even tried to infer the alleged gunman's political motivations from the readings Jared Lee Loughner, 22, listed on various web sites with one side or the other claiming he was either a right-wing or left-wing extremist, respectively. This very argument seems to be it's own proof about how ready many people are in our hyperpartisan times to blame those on the other side of the political divide for pretty much anything bad that happens. The increasing amount of information emerging about Loughner is forming a portrait of someone whose behavior worried those who found themselves in the same room with him. The Washington Post has printed worried e-mails from a woman who was in a community college algebra class with him earlier this year. "One day down and nineteen to go. We do have one student in the class who was disruptive today, I'm not certain yet if he was on drugs (as one person surmised) or disturbed. He scares me a bit. The teacher tried to throw him out and he refused to go, so I talked to the teacher afterward. Hopefully he will be out of class very soon, and not come back with an automatic weapon." Pima County Community College officials eventually barred Loughner from class and based readmission on the condition that he get a mental evaluation. To the degree that some of the current debate tries to score political points by attempting to pin the blame for a senseless act on political ideology, it seems to be missing the point. Miller goes on to echo a thought no doubt many people have had since Saturday. What can society do, if anything, to protect itself from the admittedly small subset of the mentally ill whose disturbed thoughts lead them to obtain a gun and mow down innocent people? That seems to be where much of the energy would be better spent, not using the Tucson shopping center attacks as a political weapon. Dr. Keith Ablow, a forensic psychiatrist, makes the point on FoxNews.com that there are plenty of cracks to fall through in the U.S. for the severely mentally ill, especially young people. As a forensic psychiatrist who also has run community mental health centers, hospitals and clinics, I can tell you for sure, without any question, that the mental health care delivery system in this country is shoddy and shattered and without any hope at present of dealing effectively with sick individuals like Jared Loughner. There are slim resources and no strategy, whatsoever. That’s the very, very worrisome story behind this tragedy.